The last 6pm swim of the year is this evening. Back to dark evenings and waiting for Monday, March 26th, 2018 after today. Look at yer man Slowey only five or six years ago – where’s the beard? 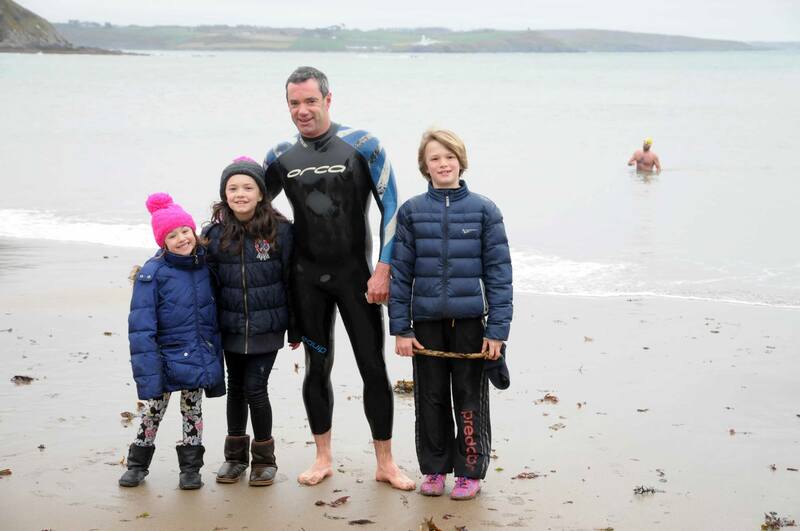 The world-famous 6 pm Myrtleville Monday swims are recommencing on Monday, March 27th, once the clocks have sprung forward. 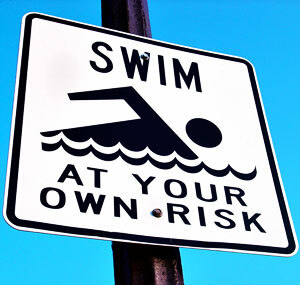 If you’re an experienced open water swimmer – read them anyway. No harm reminding ourselves that it’s ALL ABOUT SWIMMING SAFELY. Heading into the Winter and after five years of 08.15 swims every Saturday morning, we’re going to move the regular time to 09.00. This will give people a little longer in bed, if they want it! Of course some swimmers will still be going earlier for work reasons etc. but the main group swim will be at 09.00 from now on. 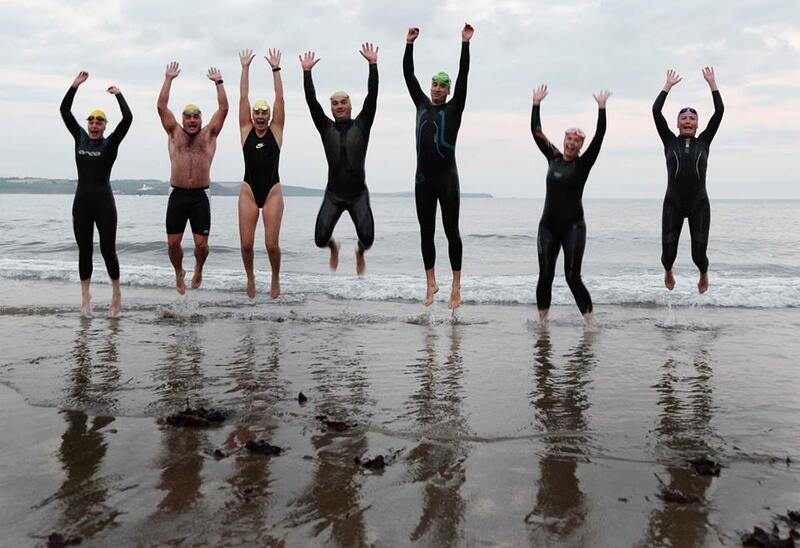 Myrtleville Mondays – We’re Back! 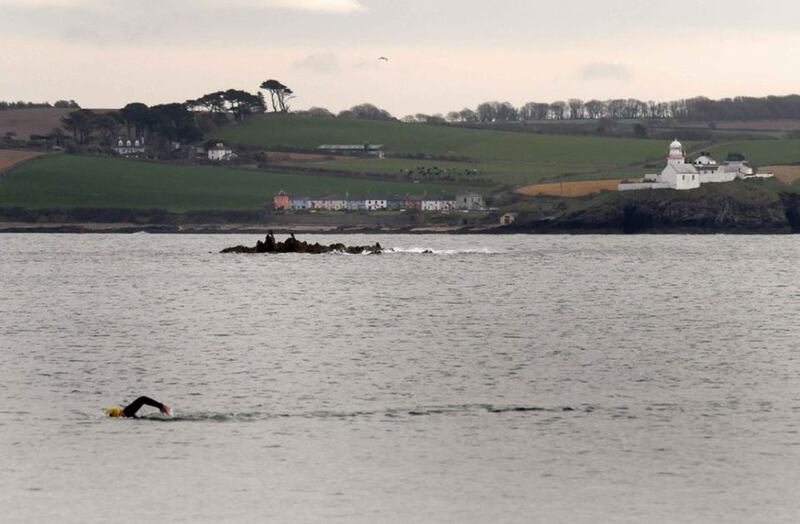 The world-famous 6 pm Myrtleville Monday swims are recommencing on Monday, March 28th, once the clocks have sprung forward. As Monday 28th is Easter Monday, there will probably be some other swims earlier in the day, but tradition is tradition so 6 pm it is – for anyone who is around. Last Monday swim, October 2015. 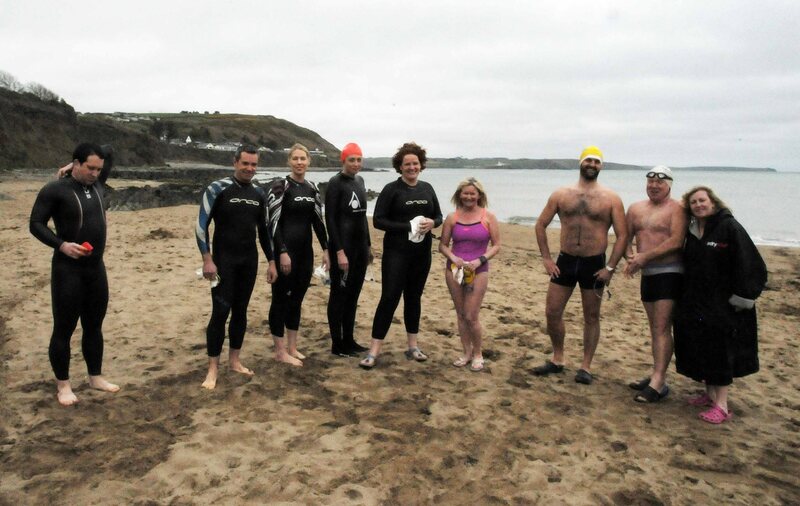 If you’re new to Myrtleville or returning after being out for a bit – please read this. Never swim alone. Always swim in groups. 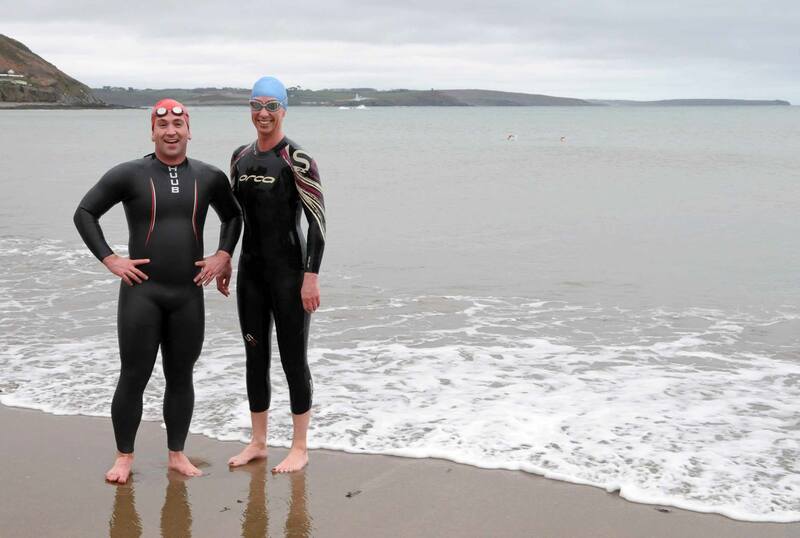 I just liked these two from Siobhan taken at this morning’s swim – makes it clear where the Hat design came from! Swim tomorrow at 07.00 for the Bunny Swim. For leisurely folk (Denis etc.) there’s also going to be a 10.00 swim. Why you’d bother is beyond me – sure, the day is over at that stage. Water around 9c so it’s definitely got a bit warmer. Bunny Swims this weekend – 07.00 on Good Friday and 08.15 on Saturday, as usual. Some of the first Monday night group. Lots of black and some pink (but not Carmen – she’s in Violet). 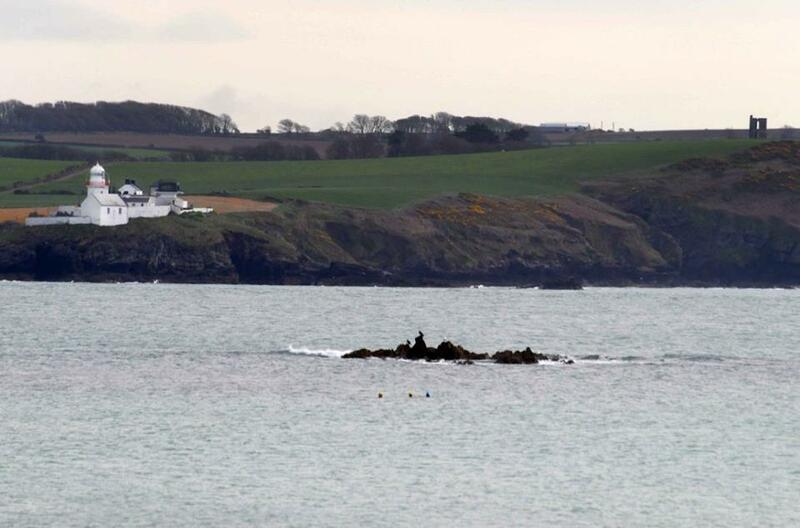 Rory Coughlan – down for his second swim in Myrtleville and Breda ‘it’s very hard swimming into that wind’ Maguire. Gary Frost attempts a photo bomb on the Twomey family portrait but he’s just too far away.